Now that you've got that big, shiny rock on you finger it's time to get planning! The first most important thing to decide is who will stand with you as you marry the man of your dreams. 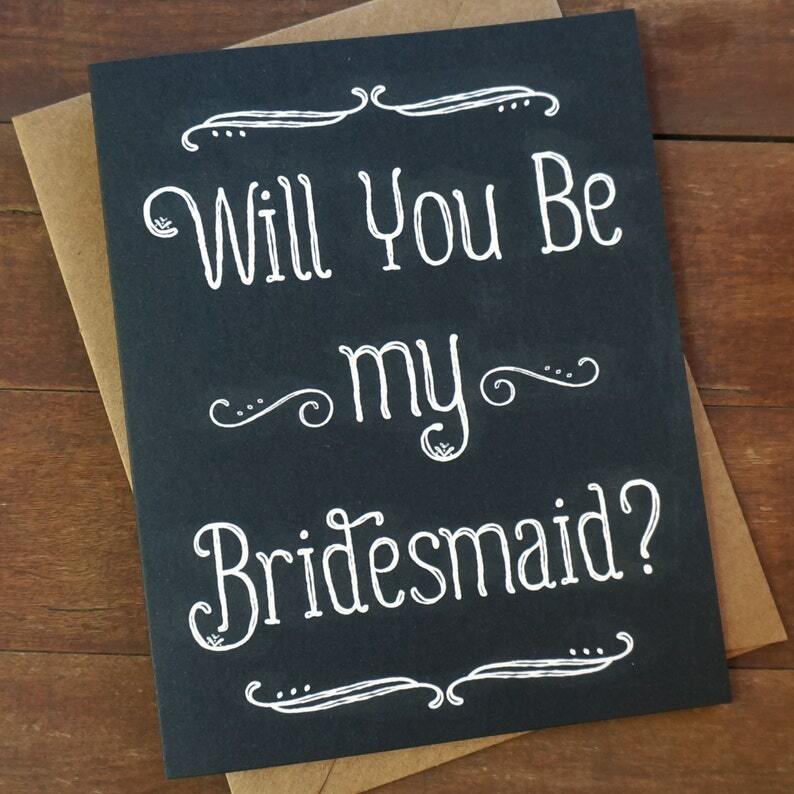 Asking your best friends to be your bridesmaids is a very special task. Do it with eloquence and gusto with these beautiful chalkboard style cards from Pheasant Press. A2 (4 1/4" x 5 1/2") folding card with kraft envelope. So cute! Thank you so much. When you checkout, choose the "Other Method" payment option. You will be provided with an address to submit payment once the order is complete! Pheasant Press supports many cryptocurrencies including Bitcoin, Ether, Litecoin, etc. If you have a question about a particular currency, just ask!